We are sorry for any inconvenience, but yoga and live music is canceled. We hope to reschedule! Please email info@natureyoga.com if you plan on attending at a later date. Live from Nature, it’s Thursday night! Take a special yoga class accompanied by professional live musicians. 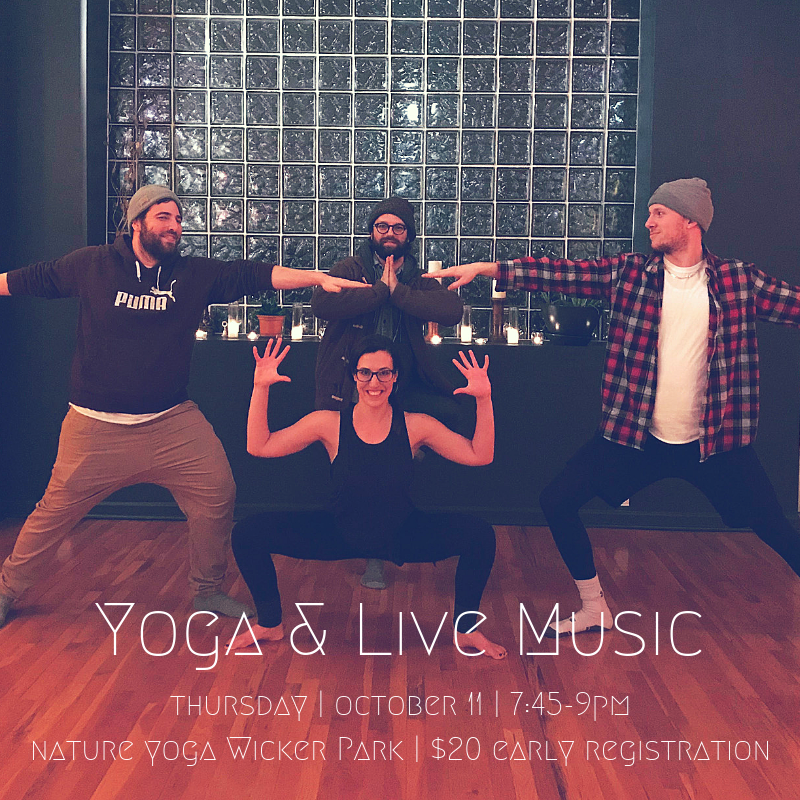 Join Emily Rezetko, her brother Matt and fellow bandmates for a slow flow vinyasa class accompanied by live, improvised soundscapes via drums, strings, pedals and loops creating a truly unique yoga experience. Enjoy an enlightened night out and let a live soundscape heighten your practice. ** Studio Cancellation Policy- Special events and workshops require a minimum number of students to attend in order to take place. If you are interested in a workshop, we encourage you to register early. We will notify you and issue a full refund 24-48 hours in advance if a workshop is canceled due to low registration. Thank you!